A guide to blog investments & budget blogging to help increase your blog’s success without breaking the bank. When I first started blogging I could only dream of making money. And while they say you shouldn’t start blogging to make money, the truth is, blogging is a job. And as far as I know, most people normally get paid a salary at their job. 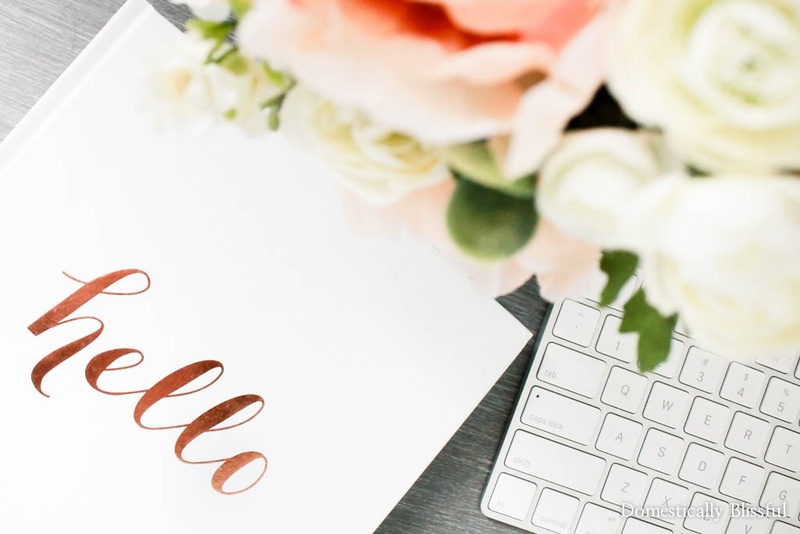 Although bloggers don’t have a yearly salary because they are basically freelancers & have to get creative to earn an income, they can make an income! 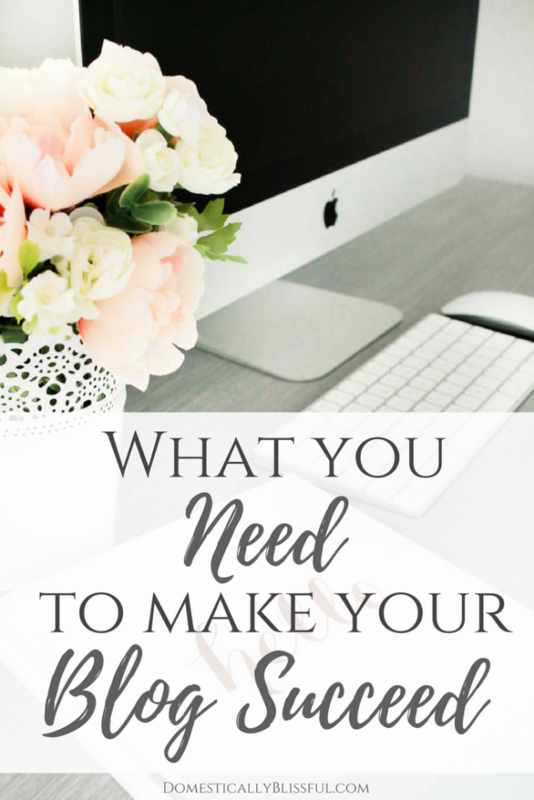 A few months ago I shared with you 5 Ways to Monetize Your Blog so I thought it was only fitting that today I share with you how to make your money work hard for you through different investments in your blog. And while it can be hard investing back into your blog when you first start making money, it is totally worth it! Because the quicker you grow your blog the quicker you grow your income! While some people think that blogging is free, which we all wish was true, it is unfortunately not. Even still, starting a blog does not have to be expensive & you can keep it going for many years to come if you simply pace yourself. You don’t need everything at once, especially when you are still learning all of the ins & outs of blogging. It’s important to start at the beginning & then grow & adapt your blog as you see fit. It is so easy to go from one extreme to the next. 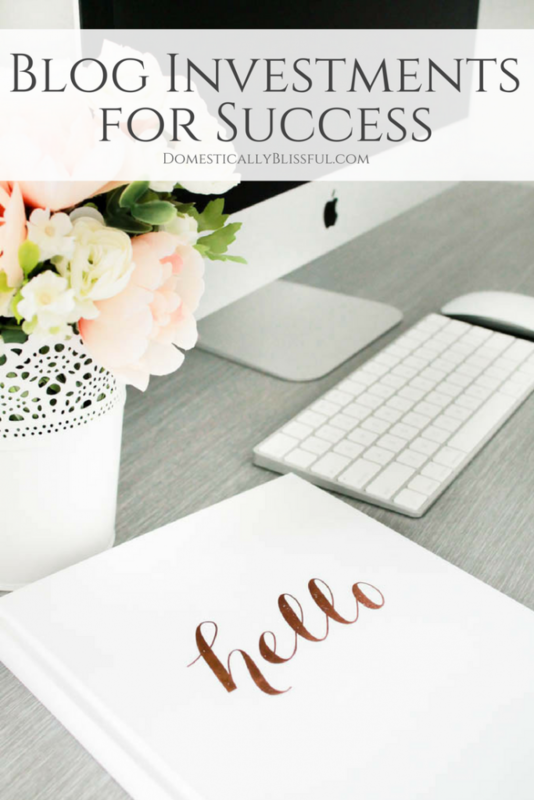 When I first started blogging I tried to use & do as many free things as possible for my blog. Roger was in dental school & we didn’t have the money for me to invest in my blog. 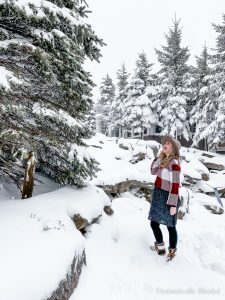 Once I started making an income from blogging I went to the other extreme & I started buying a lot of things to upgrade my blog, such as a new computer, a new theme, blogging courses, & scheduling tools. You can read about my favorite blogging courses here. Over the last year, I have been learning to be more balanced with my income. I’m going to share a little peek of what I do with my hard earned income. Because as bloggers we know it can be exhausting work! So after taxes, I then pay tithe & set aside an equal amount towards our adoption fund. I pay off my monthly car payment & remove the amount sent to me by brands & clients for their products. Then with the remaining income, I divide it into various “folders” or “envelopes” in my bank account. And each month I have a dedicated percentage of income that goes right back into my blog. I did a little research online & discovered that “they” suggest you reinvest 50% of your earnings into your business. And while that might be true & a good business plan, I only invest 25% back into my blog. 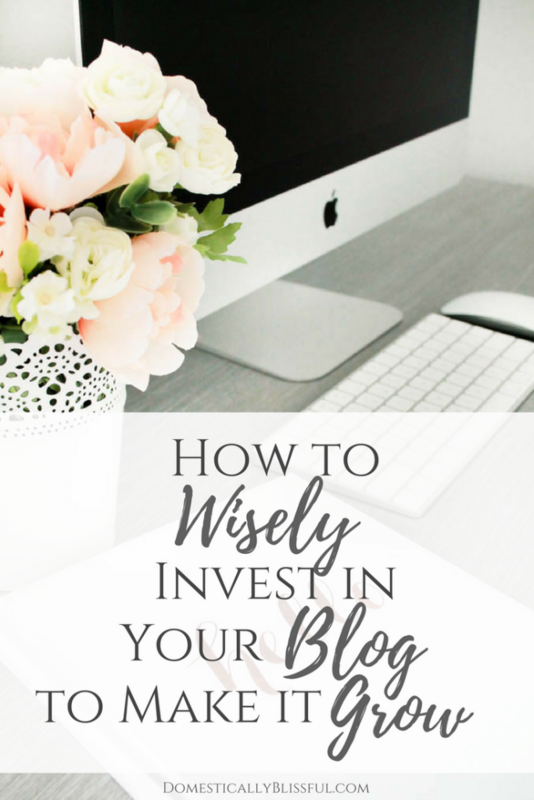 If you are just starting out you might need to invest 50-75% to give your blog the added initial boost but I believe you know your income & your situation best & how to wisely invest. These category percentages help keep me from spending too much in any given category. It also allows me to see how much I have saved to put towards my next blogging investment. Below you will find a list of investments I have made & plan on making for my blog. I have arranged the items in the list by price so that you can easily see what is in your budget to upgrade your blog next. I hope you enjoy this mini guide to blog investments & budget blogging & that it helps you increase your blog’s success! My grammar is painfully imperfect. I use the free version of Grammarly & I can not begin to tell you how many errors it catches, not only in my posts, but comments, social media updates, & email responses. It is a huge asset that is free & helps your writing look more professional. This is definitely beneficial as you (begin to) work with brands & create content for compensation for clients. Canva is a free way to edit/resize photos & add word overlay for social media. I use it the most for creating word overlay pictures & colleges for Pinterest. You can see how I use it on my Domestically Blissful Pinterest board by clicking here. You can see how I use it on my Domestically Blissful Pinterest board by clicking here. Yes, you could use the free version, but I highly recommend you start with the .org version & skip the .com. I have a whole post dedicated to this topic that you can read here. SiteGround is the hosting provider I use & recommend for bloggers who use WordPress(.org). As a new blogger, you will want to begin with their StartUp plan. Then as your blog grows you can upgrade to the GrowBig ($5.95 a month) & then GoGeek plan ($11.95 a month). Currently, I am using their Cloud Hosting services. If you are interested in starting a blog with SiteGround click here & I’ll show you just how easy it is with step-by-step instructions & pictures! And if you are interested in switching to SiteGround I also have a post to help guide you through the process. This is a long story. If you want to read about the fiasco that led to me purchasing malware protection you can read about here & here. But to put it simply. I almost quit blogging because of malware & hackers. This is one of the cheapest forms of protection available & it is beyond worth it. Seriously! Read this & this if you need further details. I use WeWatchYourWebsite.com. It’s inexpensive & it works! BoardBooster is also a Pinterest scheduling tool that you I use to save time & increase traffic to my blog. I started using BoardBooster after taking the Making Sense of Affiliate Marking & learning how this can save me, even more, time (along with Tailwind) while growing my blog exponentially. If you want to try it first, click here for 100 pins free! And you can read my tips on how to use Tailwind & BoardBooster for Pinterest success & how I went from 3,454 to 21,485 followers in 1 year by clicking here. Thrive Leads is a wonderful way to gain new subscribers while not having to worry about a Google penalty. The customizability is amazing, as is the A/B testing. They even have features so that you can add your own custom subscription box within a post or page, your sidebar, or in the text of a post like this. But seriously, if you like this post you can subscribe to my blogger’s email list by clicking here or to all of my posts by clicking here. For over 2 years I used a free theme on my blog. If a theme is not in your budget I recommend opting for a free theme until the money becomes available. However, while a free theme is great because it is free, it is often not very customizable, support is limited, & free themes often slow down your site, which you really don’t want. The faster your site, the longer readers will stick around, the slower a site, the quicker people will leave, even if the post or recipe they wanted never fully loaded. ps. That’s another one of the reasons I switched to SiteGround, which you can read more about here. I use a StudioPress Genesis Theme called Simply Pro Theme by the Bloom Blog Shop. 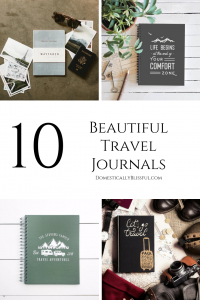 Eventually, I would love to work with a blog designer to make a custom blog theme for my blog, but a few of the designers I love range from $500-$1000 for custom work. Backing up your site is so important. I use the Akismet Pro & VaultPress Lite Bundle to secure my site. I can’t begin to imagine what it would be like to lose weeks, months, or years worth of posts. It would be so painful, I don’t know how I would recover. Not only would the emotional strain be insane, but I would also be stressed about all of the contracts & work I had created for clients. I praise God nothing major like this has ever happened to my blog before I had the budget for this. And to be truthful, I probably waited way too long before I started paying for this security. Tailwind is not only a huge time saver, but you can really see the difference when using Tailwind‘s Pinterest schedule. I use to spend hours a day (spread out throughout the day) pinning on Pinterest, now I can schedule everything & Tailwind will pin for me. Since using Tailwind & the introduction of their Tribe feature I have been seeing huge growth. I use Tailwind‘s yearly Plus Plan & my only regret is that I wish I had started using Tailwind sooner. You can try it for a month for free by clicking here. 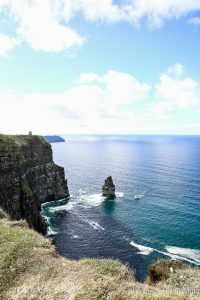 I edit all of my blog post photos in Lightroom. Even after years of having it, I am still learning about different tools, techniques, & shortcuts to editing my photos. My editing skills have grown stronger because of constant use & practice, but I still have much to learn. And the more I learn & grow the better chance I have of working directly with brands & being chosen to create sponsored content for clients. iMovie works great & is a free application for Apple, but it has its limitations. I am currently using the free trial of Final Cut Pro, & it is the next thing on my list to buy for my blog! I am hoping to start using ConverKit this fall. The prices vary depending on how many subscribers you have for your blog. For 0-1000 subscribers: $29 a month, 1000-3000 subscribers: $49 a month, 3000-5000 subscribers: $79 a month, & after that a custom price is calculated per month. For all of my short form videos, I use my iPhone Plus, because it shoots amazing 4K video’s & focuses automatically. I take all of my food, home, & DIY project pictures on my Canon EOS Rebel T3. Eventually, I hope to upgrade to the Canon EOS 6D. One of the lenses on my dream list includes the 100mm Macro EF f/2/8. I am loyal & partial to Apple. I use my iPhone, MacBook, iMac, & iPad for my blog. And occasionally I will be using all 4 at the same time. Two years ago I set aside some of my income/budget for a new MacBook to replace the one I’d had since high school & last year I bought an iMac for myself for Christmas. I love to use them both, & usually, I have them both open so that I can work on several things at once. What is on your list blog investments?